The Wegman Family Charitable Foundation is donating $3 million to Monroe Community College. The money will aid MCC students struggling with food insecurity and other barriers to their education. The college has been paying more attention to students who have financial needs in recent years. A 2016 study from the Wisconsin HOPE Lab found that more than half of MCC students either skipped a meal or had to eat less because they couldn’t afford it; 60 percent of the students said they could not afford a balanced diet. It also revealed that one in ten MCC students are on the verge of homelessness. 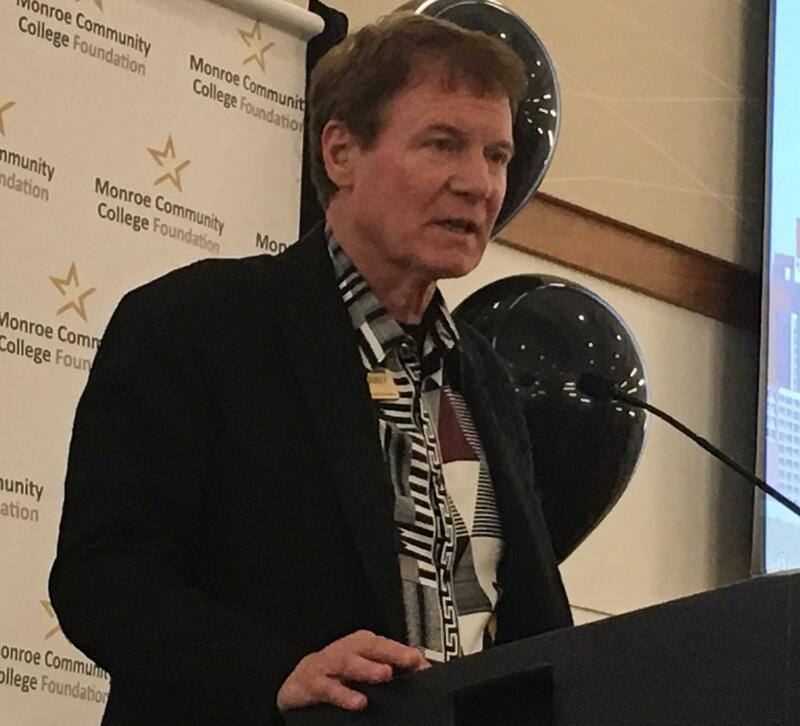 Danny Wegman, president and chairman of the Wegman Family Charitable Foundation, was at MCC’s downtown campus to announce the donation. He says reducing hunger among students will help them succeed. The Monroe Community College foundation plans to use the money for things like food scholarships, emergency grants, and other types of support for students. MCC President Anne Kress says the donation could keep students from making some hard choices.